While marriage is a strong bond, there are still some elements that can greatly affect these conditions. Bigamy is one condition that can terminate a marriage. Bigamy refers to situations where: (1) a first valid marriage was entered into by the accused spouse prior to the marriage in question, and (2) the bigamist was aware that a spouse was living at the time of the second marriage. Recently, the Lawyer General of Texas suggested potentially prosecuting certain organizations for practicing polygamy, a violation of Texas bigamy laws. This statement comes at a time when many law enforcement organizations are increasingly focus on groups that practice polygamy. While rare, there are also cases where individuals are married to multiple people simultaneously. It is worth understanding how the state of Texas views bigamy and the applicable laws concerning this issue. The Texas Family Code states that in the event of bigamy, only the first marriage is considered to be valid. Any marriage entered into by an individual after the first marriage is subsequently viewed as void in the eyes of the law. 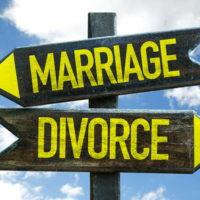 The second marriage, however, can later become valid if the first marriage ends due to either death or divorce so long as the parties to the second marriage represent themselves as married and live together. In cases where a second marriage becomes valid, the marriage is considered for legal purposes to begin on the date that the earlier marriage is dissolved. Death benefits and the right to make significant health decisions are not available to either of the individuals after a marriage is declared. Being named a beneficiary of a retirement plan or life insurance policy also has the potential of being compromised by the declaration that a marriage is void. One of the most important elements of responding to having a marriage declared void is determining if a spouse has the ability to receive compensation for damages due to the marriage. If a spouse legitimately believes that a marriage existed, this spouse is called a putative spouse and can recover a portion of what would considered community property had the marriage been valid. Putative spouses are not able to receive compensation for community property once realizing that a spouse was previously married, which means that a putative spouse must initiate a legal action in family court prior to realizing the existence of the prior marriage. Individuals should note that if it is later discovered that a spouse has previously been married, the spouse need not take any type of legal action in response to the relationship. The marriage is automatically considered in a legal sense to have never existed. Individuals, however, may seek to declaration that a marriage is void in accordance with law to protect an individual’s property and prevent any potential future obstacles from arising. If you have any questions about the effects of bigamy on a marriage, the assistance of an experienced divorce lawyer is essential. Contact a lawyer at Lindamood & Robinson, P.C. in Houston today.